Last year, our client Port of Antwerp decided to go for a new direction as a port authority, together with us. And a new direction calls for a brand new story and a brand new visual identity. Port of Antwerp wants to be a haven that’s vital for a sustainable future. A home for maritime and logistical services, on a world scale, by connecting employees, clients, stakeholders and society at large to tackle tomorrow’s challenges together. 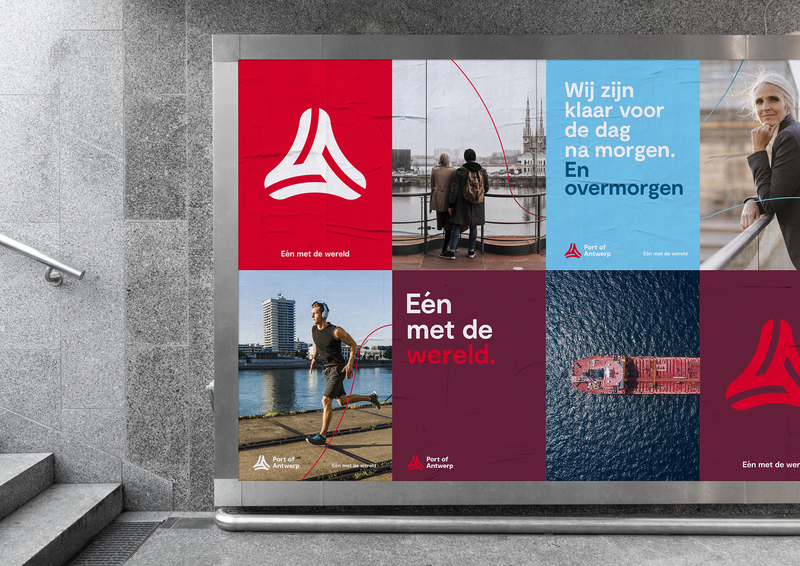 Its new visual identity embodies this story as a symbol of the future Port of Antwerp. No revolution, but evolution. Acknowledging a trusted brand, yet revitalizing it by making its shape rounder to symbolize collaboration, accessibility and dynamism, by rejuvenating the red for a fresher and more powerful feel, and by reinventing its entire surrounding look&feel,tone-of-voice and imagery. Its baseline “In tune with the world” (mainly used in Dutch as “Eén met de wereld”) sums it all up. Putting a local port back on the world’s radar with a renewed approach. Starting with a press launch yesterday (January 8th), but be sure that BBDO’s work is not quite over yet!